Aarif Rahman composed this catchy theme, Goda Goda, for the not-so-catchy show with Ma Tianyu, Lin Zhiling, et al. He even sounds like Wang Leehom. New mom Fan Weiqi sings an adorable family song comparing a family to a forest of animals for Zhao Wei and Tong Dawei’s Tiger Mom and Kitten Dad. Did you know that parts of RTA boyband was still together? 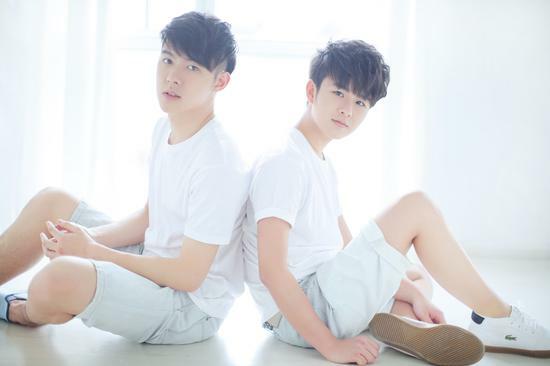 The two better looking of the group are now a duo, creatively named Xu Hao X Zhu Yuanbing. Here’s their latest single. Is it just me or do they still look like they’re in middle school? But you know what’s a better-sounding duo? M.I.C.‘s Tan Jianci and Ma Haisheng in Love in Tiny Times 爱在小时代 for the musical. There’s also a version that I actually like better with Tan Jianci and Coke Lee here, but you get to see less of Jianci’s pretty face. Wei Chen‘s Warm Snow (Hot-blooded) 热雪 for Tiny Times. Who sings it better, Wei Chen or Tan Jianci? This entry was posted in Mainland China, Music, Taiwan and tagged A-mei, Aarif Rahman, Fan Weiqi, Lin Zhiling, M.I.C., M.I.C. boyband, Ma Tianyu, Music Monday, Noona Over Flowers, RTA, Tan Jianci, Tiny Times, Wang Lin, Wei Chen, Xu Hao, Zhou Bichang, Zhu Yuanbing by idarklight. Bookmark the permalink. What show is this? Do share link? thanks! I thought it was some bollywood phrase!